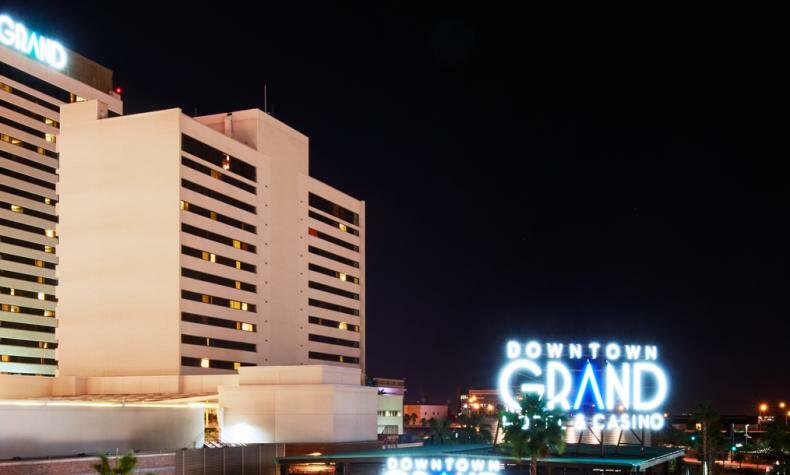 In the heart of Downtown Las Vegas, discover another side at the Downtown Grand Hotel & Casino, an authentic Las Vegas experience. 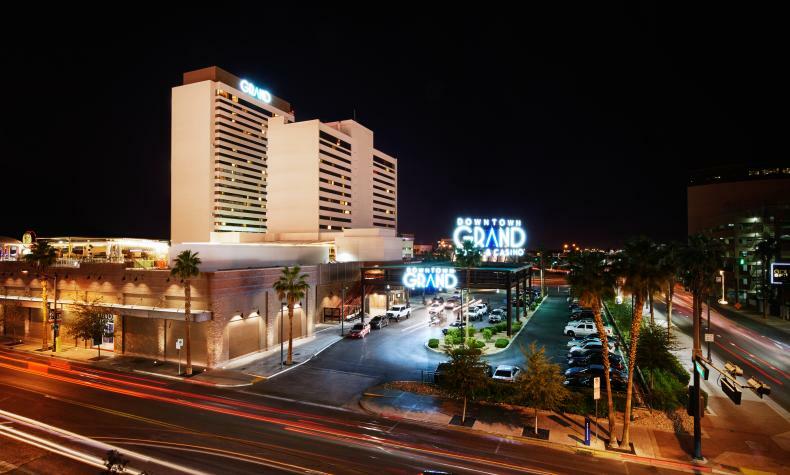 Just steps from Fremont Street, it’s a newly renovated urban resort offering a variety of options; dine, play and explore the heart of Las Vegas. Enjoy newly refurbished hotel rooms and suites, and many dining options including Triple George Grill, Pizza Rock and Freedom Beat. The Citrus Pool Deck has the largest pool deck in Downtown Las Vegas. Restrictions: Service Animals Only. Documentation required.